This has certainly piqued my interest. Anyone knows who carries Wharfedale in Singapore? Looks interesting. Arriving in Australia next month. How much retail? Is it made in the UK? It's listed at 999 pounds (without stands). Should be coming to SG within a month or two. A$2500 including stands. Made in China. For comparison, the tontrager stands for the Harbeth SHL5+ retails for A$1700!!! Got BBC sound or not. That's not too bad i reckon! ( esp. with the stands included ). Don’t know the sound. Gotta wait till next month. The Chinese company IAG bought over Wharfedale in 1997 and produces the Wharfedale Denton Anniversary few years ago. The old Denton were good speakers in the 70s'. With the success of the Denton Anniversary, they now want to revive the Linton series also from the 70s' and early 80s'. Honestly, if you can find the vintage Denton, Linton or the original W series such as the W25, W35, W45, W60 and W90, they are great buys. They have the warm vintage sound which in my mind sounded better and more natural especially driven with low output transistor amplifier or tube amp. 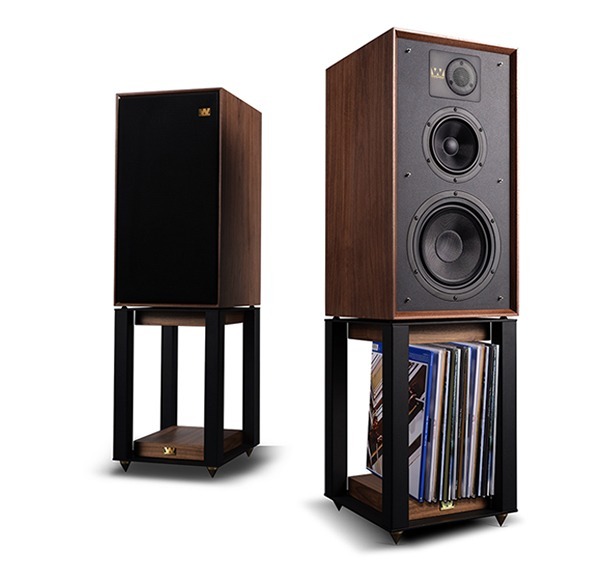 The old series Wharfedale are hard to come by because they are very well built and are collectors' items.